Mega 104.3fm Welcomes “The Millennium Tour” coming May 25th to the Gila River Arena! 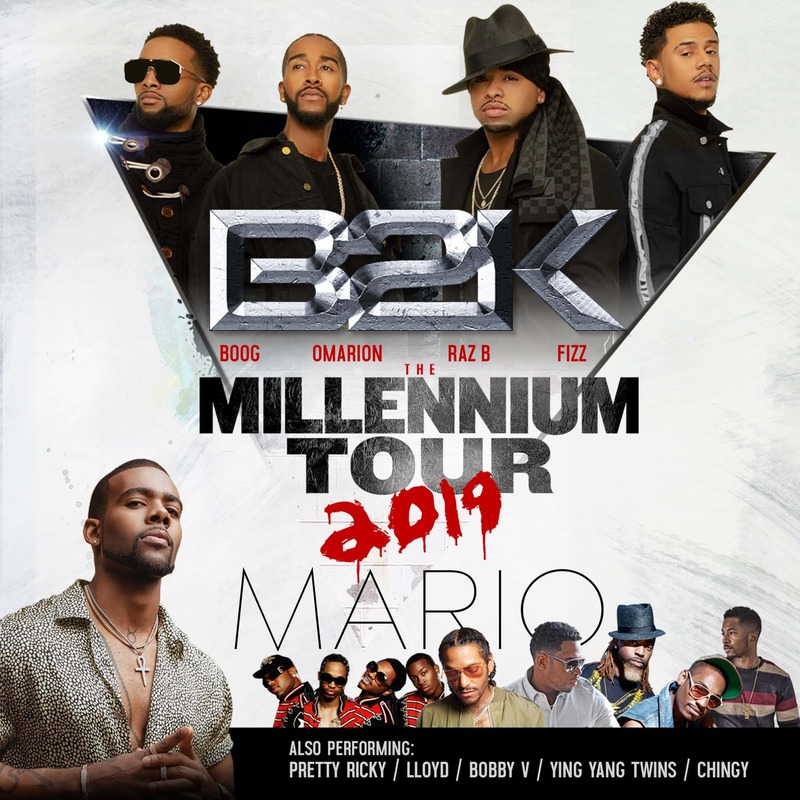 Multi-platinum R&B group B2K (Omarion, Boog, Fizz and Raz-B), will kick off a limited engagement tour entitled “The Millennium Tour” along with R&B crooner, Mario. Also scheduled to perform; Pretty Ricky, Lloyd, Ying Yang Twins, Chingy, and Bobby V. Don’t miss the Millennial concert party of the year. More info and tickets click HERE! !